OSU is in the mix for a nasty under-the-radar OT out of Arizona. Oklahoma State’s new O-line coach, Charlie Dickey, is already hard at it on the recruiting trail. On Tuesday, Cade Bennett, a three-star prospect from Notre Dame Prep in Scottsdale, Arizona, announced an OSU offer. 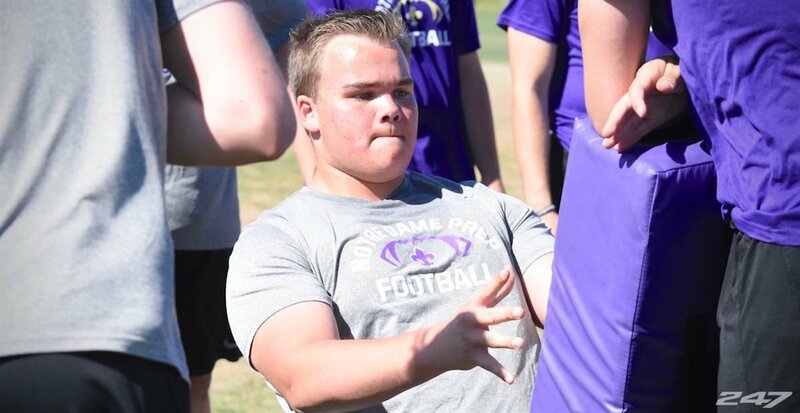 Bennett already has a double-digit offer sheet that includes the likes of Boise State, Iowa State and Washington State as well as in-state schools Arizona and Arizona State, but expect that list to continue to grow and the level of competition to stiffen. If he were to choose the Cowboys he would join four-star lineman Eli Russ out of Ardmore, Oklahoma — a nice start to Dickey’s first recruiting class. At 6-4 and 300 pounds, Bennett has the size to compete early and the frame to build into a stud in the Big 12. When I listen to people that know more than I do, I hear a lot of talk about linemen with a mean streak and how important that is. In Bennett, OSU would be gaining a downright bully. A peek at his film reveals a nasty blocker who not only overpowers most of the prep-level competition, he finishes almost every block by leaving a defender-shaped imprint on the field.